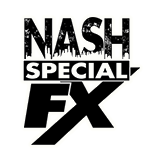 Atlanta Special FX announces another new expansion as they continue nationwide growth in the special effects and event production industry. This time the multi state, international company announces a sales and logistics team to handle all liquid siphon Co2 and specialty gases for concerts and event production. Co2 masters will operate as the product fulfillment and logistics arm of Atlanta Special FX to ensure the gases for CO2 cryo jets, confetti cannons, cryo cannon fog guns, pyrotechnics, and liquid nitrogen systems are ordered, delivered and picked up for their customers. As a world leader in Co2 cryo production Atlanta Special FX, and its teams in Denver, Dallas, Nashville, St Louis, Biloxi and Jamaica, continue to develop products and services ensuring their customers receive the highest quality of service with the least amount of hassle. Not to mention their prices are some of the most aggressive in the industry for American made products. Owner Michael Willett told us "It has been our mission from day one to provide the highest quality products at the most affordable prices, and we have done that. We are one of only a few companies in the world that have held firm with our aggressive pricing structure and not increased prices to our customers since conception." They also informed us that many more cutting edge products have been developed and are awaiting strategic launch dates. Willett also added "Co2 Masters was an idea we had years ago, however the timing and infrastructure was not in place. Now it is and customers are raving about how we have become the true one stop shop and simplified the process." According to data from Willett, Atlanta Special FX and Co2 Masters has negotiated specialty gas prices that drastically reduce cost to customer. Call today for pricing 888-664-0097 and set up your FREE account.